Apple has been struggling with stagnating hardware sales for some time now, and has thus shifted a lot of its focus to services. One such service is Apple Pay; and to complement it, Apple has unveiled its first-ever physical credit card - dubbed the Apple Card. The Apple Card is a credit card that people can use to pay across retail stores with their Apple Pay balance, and earn up to 3 percent cashback on each purchase. Here are 5 features of Apple Card that will come to the US this summer. As are all things from the company, the Apple Card is made to work seamlessly with your iPhone. 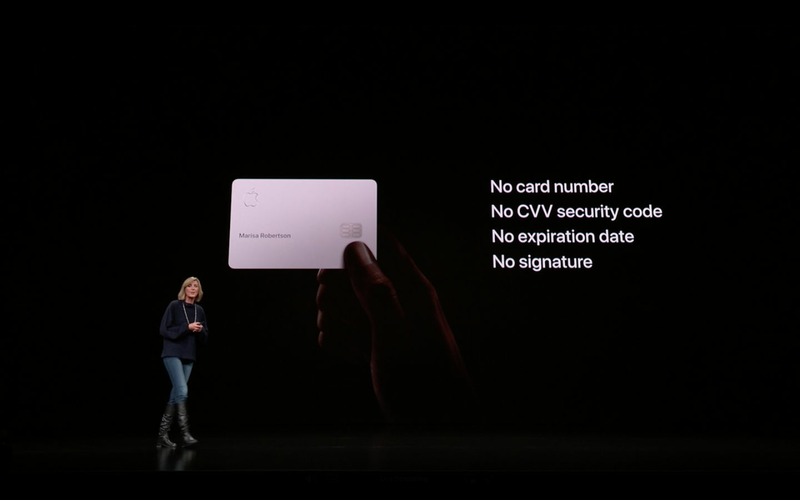 The card is connected to your Apple Pay account and you can track all of your charges and payments using the Apple Pay app on your phone. The Apple Pay app on the iPhone will provide you with detailed charts on your spending patterns. Apple Card uses machine learning and Apple Maps to clearly label transactions with merchant names and locations. Apple Card provides weekly and monthly spending summaries. All customers will receive a percentage of every Apple Card purchase amount back as Daily Cash. They will receive 2 percent Daily Cash on all purchases, and 3 percent Daily Cash on all Apple purchases, including at Apple Stores, on the App Store, and across all Apple services. The Apple Card is made of titanium with a super minimal design. It has no card number, CVV security code, expiration date, or signature, but is still more secure than any other physical credit card. There are no fees associated with Apple Card: no annual, late, international, or over-the-limit fees. Redmi Note 7 Pro vs Redmi Note 7 camera test: is the upgrade worth it? Xiaomi Mi Pay vs Google Pay: which is the best UPI app for you?